The roots of the Shetland Sheep go back over a thousand years, probably to Sheep brought to the Shetland Islands by Viking settlers. They belong to the Northern European short-tailed group which also contains the Finnsheep, Norwegian Spaelsau, Icelandics, Romanovs, and others. It is speculated that the Viking Sheep interbred with a primitive Sheep of a Soay type already on the Shetland Islands. The story of Shetlands in North America began in Glasgow Scotland in 1948. A small steamship headed to Montreal was loaded with a wooden crate containing 3 Shetland Ewes and a Ram, owned by George A. Flett. It is reported that Mr. Flett missed the small reddish brown Sheep he remembered from his childhood and that he had commissioned a livestock agent by the name of Mr. G.K. Anderson, to find some Moorit (Dark Reddish Brown) Sheep to ship to Canada. On September 5, 1948 the Sheep arrived at the Canadian Northern rail yard in Fort Qu'Appelle. The Sheep were taken to the Flett farm whey they remained unknown to most of the world. 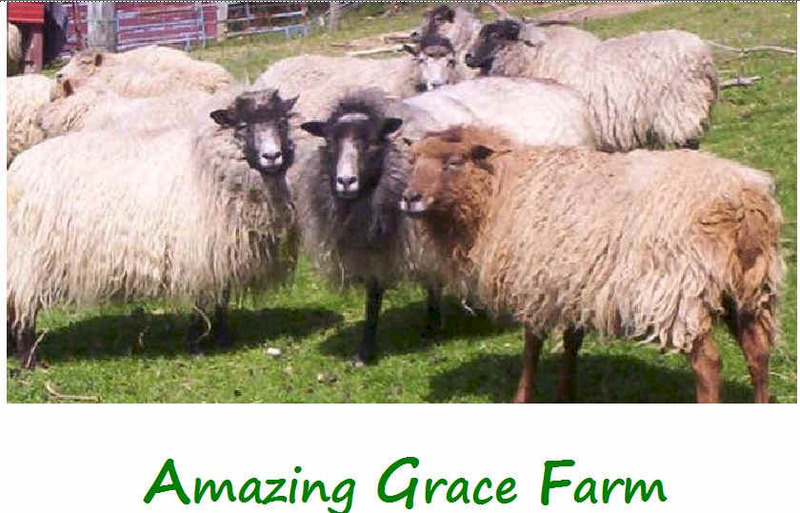 George's son, Peter, and his wife, Jean, took over the family farm and continued breeding the little Shetland Sheep. To this day, the Flett family remain dedicated to their unique flock of Moorit Shetlands. On December 6, 1980, 28 pure Shetland Ewes and 4 Rams arrived at Cambridge, Ontario in an importation made by the late Colonel G. Dailley of Cambridge. Dailley was dedicated to preserving endangered species and in the late 1970's, when he learned the Shetlands had been placed on the Rare Breeds Survival Trust Fund's List as a rare breed in threat of extinction, began working on an importation. The regulations and testing required to allow the Sheep into Canada made the importation a difficult task. Upon their arrival in Canada, the Shetlands were required to remain on a lifelong quarantine on the Dailley farm. No progeny could leave the farm until 5 years after their birth. Today, Shetland Sheep are considered a primitive or "unimproved" breed. This means that although they are small and relatively slow-growing, they maintain natural hardiness, thriftiness, easy lambing, adaptability and longevity. Shetlands survived for centuries under harsh conditions and on a meager diet, although they do very well under less rigorous conditions. They are very thrifty creatures and don't require expensive feeds, rich pastures, or top quality hay. Our own feeding regime includes good grass pasture in the Summer and an orchard grass hay in the Winter. We do supplement with grain in the Winter even though the Sheep seem to manage just as well without it. Graining gives us the opportunity to get closer to the Sheep. Having retained most of their primitive survival instincts, they are easier to care for than many of today's "improved" breeds and are said to be the only breed that can withstand the harsh climate and meager grazing of the Shetland Islands. While we provide shelter for our Shetlands, they rarely use it. In fact, it is not unusual for us to wake up on a Winter morning only to find the Sheep covered in snow, contentedly chewing their cud. Shetlands are the smallest member of the British Sheep breeds. Rams usually weigh 90 to 125 pounds and Ewes, about 75 to 100 pounds. Ram's horns are rounded and rise in a curve above the head. As age increases, the Ram's horns begin to spiral. Some horn sets can become quite large and majestic looking, like that of the Bighorn Sheep. Ewes are typically polled, or hornless. However, polled Rams and horned Ewes have been noted in the breed. Shetlands appear to be small, delicate animals. But, under al that wool, they are quite well muscled, agile, quick, and very strong. The Ewes are typically excellent mothers and lambing problems are rare. The lambs are born quite small, between 4-8 pounds, and grow rapidly. Twins are usually born to experienced Ewes while first time mothers typically have single lambs. Triplets are uncommon but not unheard of. Their naturally short, fluke-shaped tails do not require docking. Length of the tail can vary depending on the size of the Sheep, but averages 4"-6". The tail is reported to be a good tool in judging the purity of the breed. Any cross breeding will show up in the tail length and shape. Shetlands are generally a calm, docile and easy-to-manage breed. Most respond well to attention and some even wag their tails when petted!